Elon Musk chose a curious time to pick a fight with Wall Street. The Tesla boss has a well-earned reputation for being a daring leader who doesn't follow the rules. But his latest stunt — insulting analysts during a bizarre conference call — threatens to alienate Tesla (TSLA) from the capital markets that the company needs to finance its big dreams. During the call, Musk slammed one analyst for asking "boring, bonehead questions" and quickly shut down another for asking about the Model 3. Instead of answering these legitimate questions about Tesla's serious cash problems, Musk took a dozen questions for 23 minutes from a blogger with a YouTube channel. The strange call quickly overshadowed Tesla's decent results, sending the stock careening lower. Tesla tumbled 5.6% on Thursday. "I've never heard a call like that," Jeffrey Osborne, a Cowen analyst who has been in research for 20 years, told CNNMoney. "I've heard people tap-dance around questions. But to berate people and call them 'bonehead.' That was a first for me." The timing for Musk's antics couldn't be worse. Many analysts believe Tesla will turn to Wall Street for more cash because it burned through so much trying to make the Model 3, which is supposed to be its first mass-market electric car. Despite "important progress" on the Model 3, Moody's Investors Service said on Thursday that Tesla will need to raise about $2 billion by selling stock or debt. Tesla has denied it needs more cash — but some on the Street think it will need at least $3 billion. Musk's decision to "shut down transparency about what's really going on" will make it "very, very difficult" for Tesla to issue more debt, Osborne said. Likewise, Osborne said it will be "very challenging" for Tesla to sell more stock over the next six months because of Wednesday's call. Tesla did not immediately answer a request for comment on Thursday. The stunning thing about Musk's rant is that Wall Street has been an enabler of Tesla's extremely aggressive use of cash. Including its 2010 IPO, Tesla has raised $8.1 billion by selling stock, according to Dealogic stats provided to CNNMoney. Tesla raised at least another $2.8 billion through bond offerings, including a junk bond sale last August, Dealogic said. "Irrespective of the Tesla CEO's annoyance," Morgan Stanley analyst Adam Jonas wrote to clients on Thursday, "an important part of Tesla's success has been its relationship with the capital markets in funding its ambitious plans." Jonas, a former Tesla bull who has grown more doubtful, noted that "the analysts on the call represent the providers of capital that Tesla has throughout its history depended upon." Musk could need to turn to Wall Street should he reverse course and decide to pursue an IPO of his space venture, SpaceX. It's possible that over the long run, investors will dismiss Musk's infamous earnings call as the antics of a visionary founder with a successful track record. In just 15 years, he has built Tesla into a $50 billion powerhouse that has disrupted the entire auto industry. But for now, Musk's performance appears to have deepened growing skepticism among retail and institutional investors about the very real challenges facing his company. 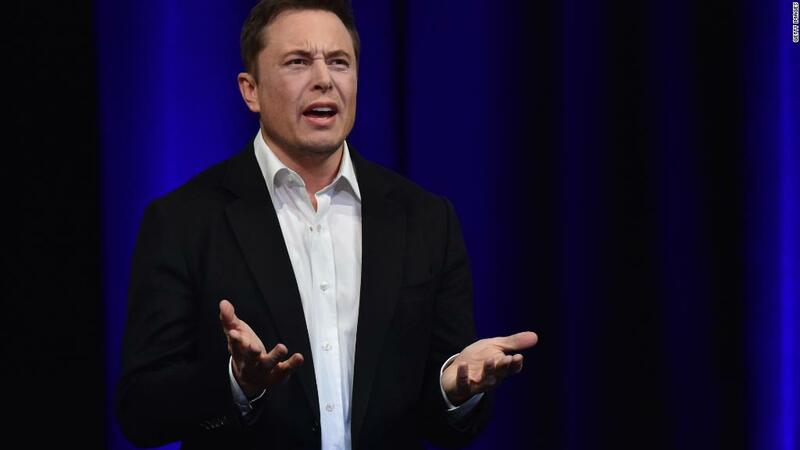 Following the call, Goldman Sachs reiterated its "sell" rating on Tesla and repeated its belief that the stock will plunge to $195. Tesla closed at $301.15 on Wednesday, but dropped below $277 on Thursday. The major flashpoint continues to be Tesla's struggle to ramp up Model 3 production — a point that RBC analyst Joseph Spak tried to ask Musk about before he was cut off. "The performance shook confidence, which we'd argue is an important piece of the Tesla story," Spak wrote to clients on Thursday. Spak said that investors he spoke with expressed "shock that a CEO would be dismissive and the general sentiment was that the defensiveness spoke volumes." Musk also brushed away concerns that Tesla shares are too volatile for some investors to stomach. "We have no interest in satisfying the desires of day traders," Musk said. "I couldn't care less. Please sell our stock and don't buy it." Judging by Tesla's tumble on Thursday, more than a few investors are heeding Musk's advice.